A ‘business incubator’ has been launched by De Beers Group’s Venetia mine in South Africa to boost budding entrepreneurs and enterprises in mining communities. 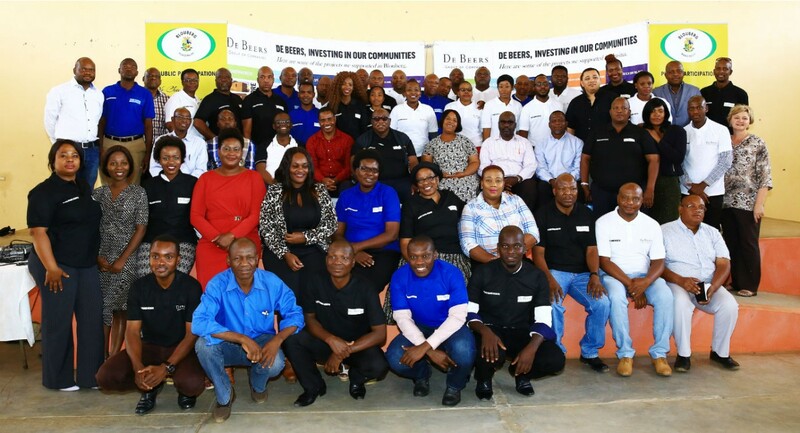 The programme, run by the specialist mentoring and training company TrioPlus, will provide support to 40 businesses or entrepreneurs – 20 each from Blouberg and Musina. It kicked off in August with two workshops targeting existing and aspiring entrepreneurs. Classroom training, run monthly, will cover topics such as market research, financial management and operational management, ultimately leading to a bankable business plan. One-to-one sessions with entrepreneurs will help mentors evaluate their progress and provide coaching and support. The best and the brightest will be selected for the next phase of the programme, which includes access to funding and further training and development. The incubation programme at Venetia mine in the Limpopo Province follows the one launched in June by Voorspoed mine in the Free State, which has so far supported 45 entrepreneurs. De Beers, he added, was excited by the potential for these businesses to participate in the diamond pipeline and was running development initiatives to promote them.